Those who like drinking a Fuzzy Navel cocktail will enjoy eating the cake version as it also contains peach schnapps, a fruit-flavored liqueur. 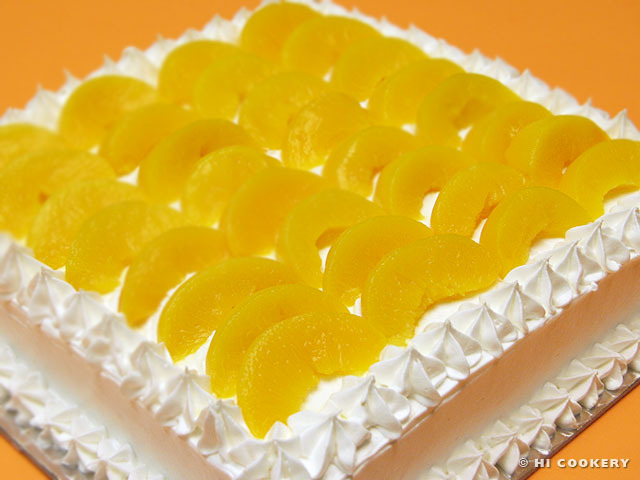 Islander used to send an unfrosted Fuzzy Navel cake to her friend Lisa L., who was stationed in Kuwait as a naval reservist. She said the troops wanted a treat that had a bit of booze baked into it because they were in the “dry” Middle East. Years later, Lisa requested this cake flavor for her wedding in Germany, as peach schnapps was a popular alcoholic beverage in her village. Islander frosted the tiers with sweet, whipped, white cream. 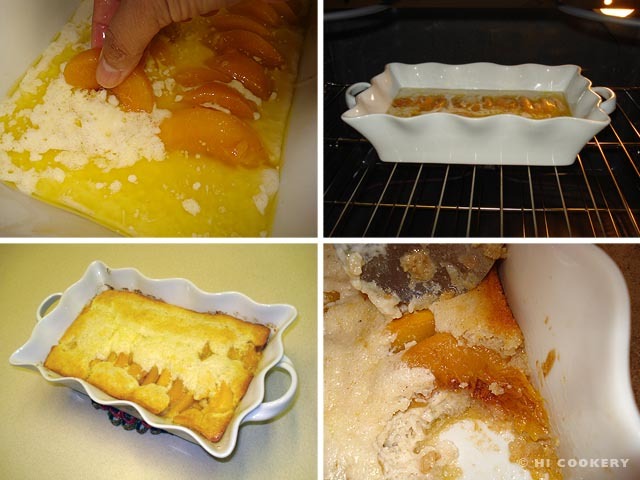 The “peach schnapps and cream cake” was light and luscious and everyone loved it! 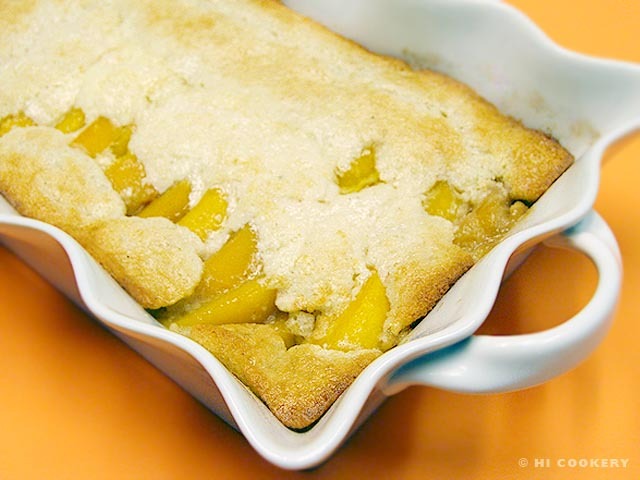 When Islander makes this moist cake on occasion, she would put peaches on top to showcase the fruit flavor. 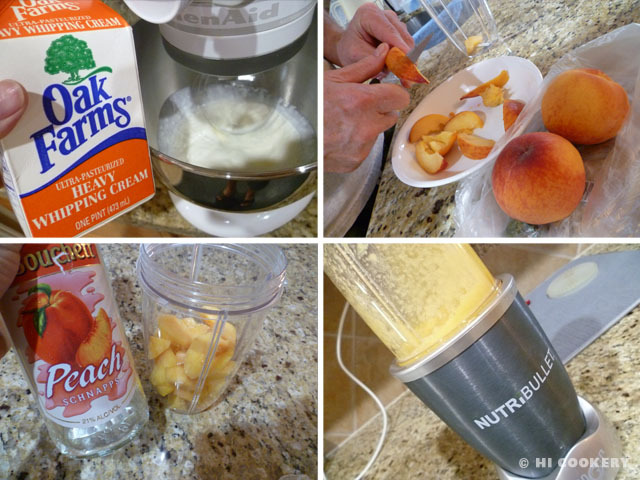 Instead of plain peaches and cream, switch to schnapps and prepare a peach schnapps and cream cake on National Peaches and Cream Day. 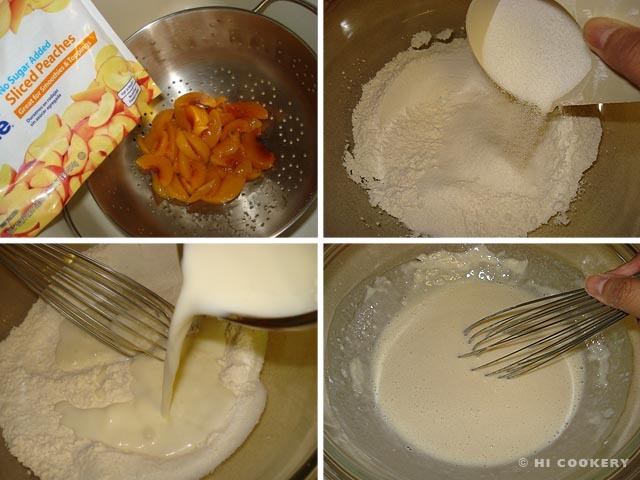 In a large bowl, combine the cake and pudding mixes. Pour in the peach schnapps and orange juice. 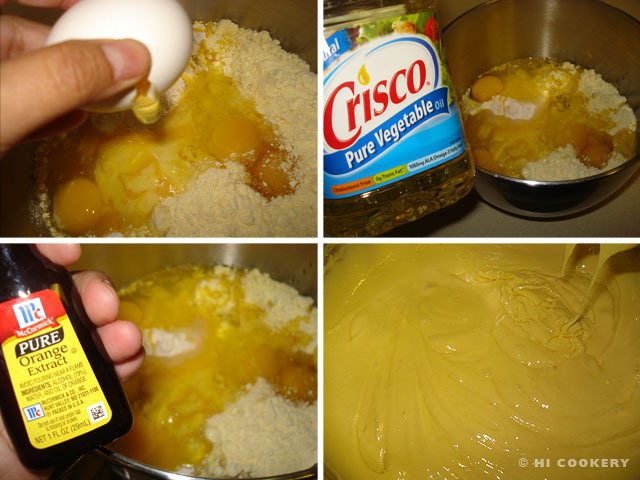 Add the eggs, oil and orange extract. 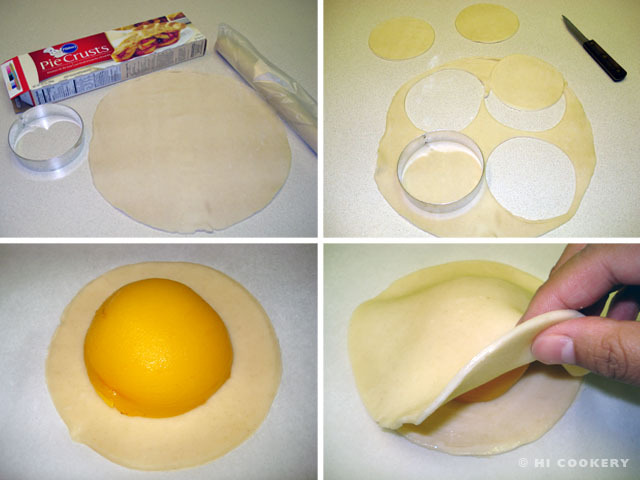 Blend on low speed, scrape the sides and continue mixing until the batter is smooth. 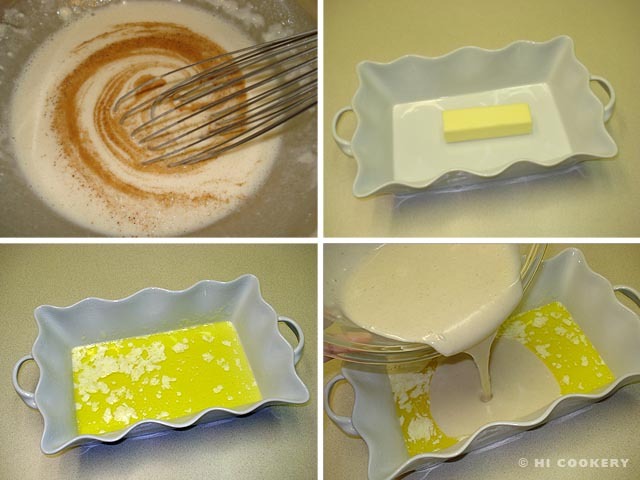 Pour the batter in a lightly greased pan. Bake in a preheated oven at 350 degrees F for 45-50 minutes, testing for doneness with a toothpick. 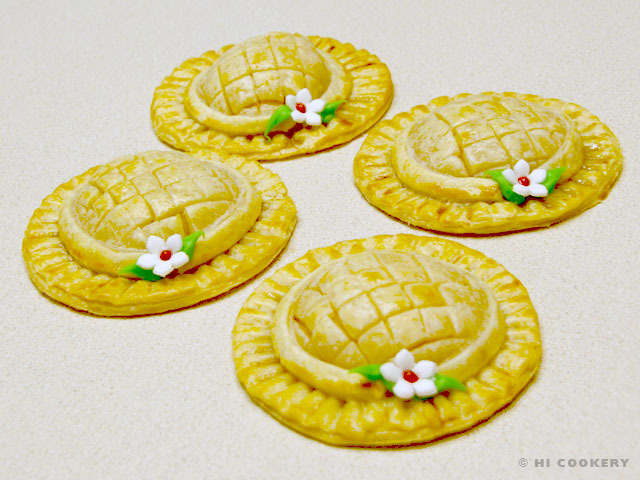 Remove from the oven and cool in the pan. 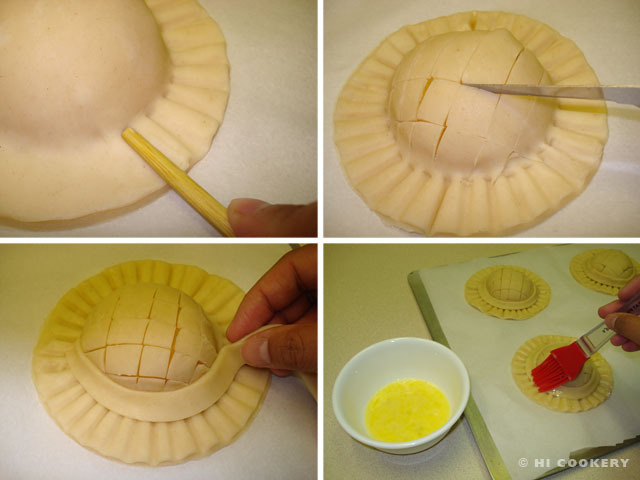 Invert the cake into a cake board or platter. Prepare the cream frosting. 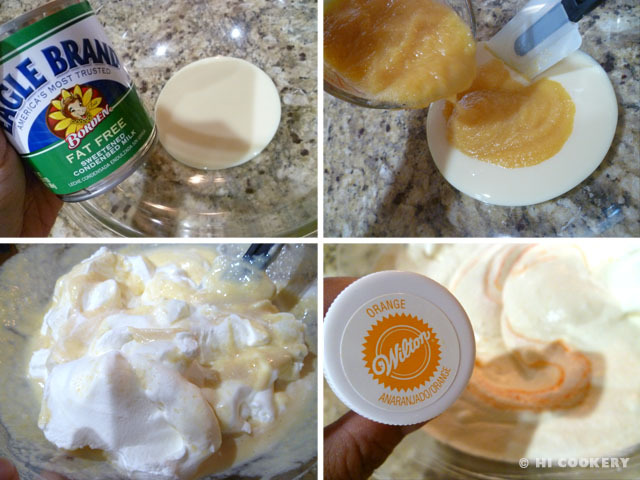 In a chilled mixing bowl, whip the cream until thickened. Gradually add the powdered sugar. Beat until blended. 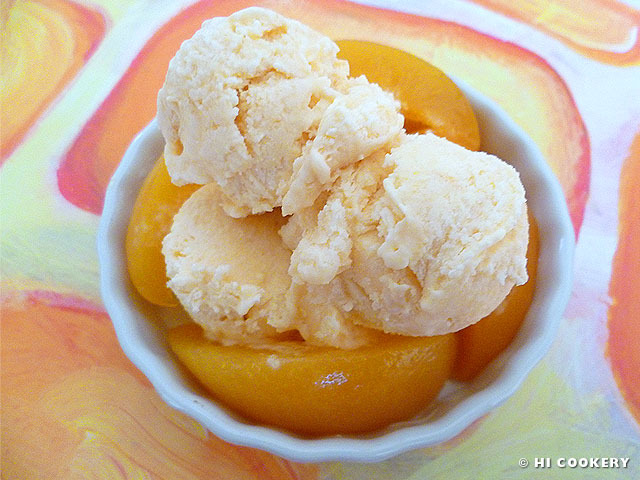 Stir in the orange/peach/vanilla and continue to beat on high speed until stiff peaks form. 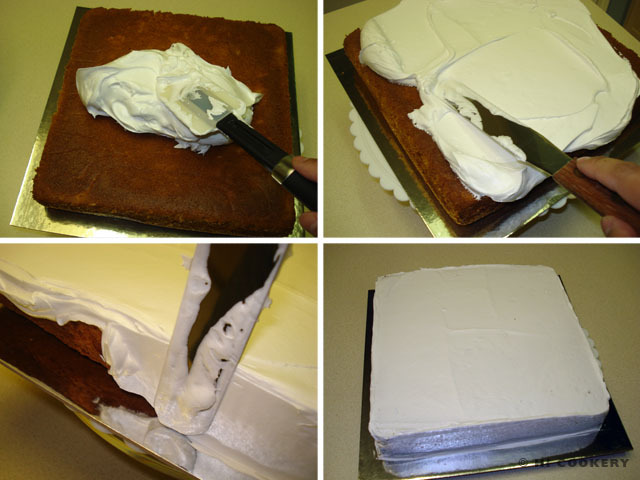 Spread a little frosting on a cake board or platter to act as an adhesive so the cake does not slide off. 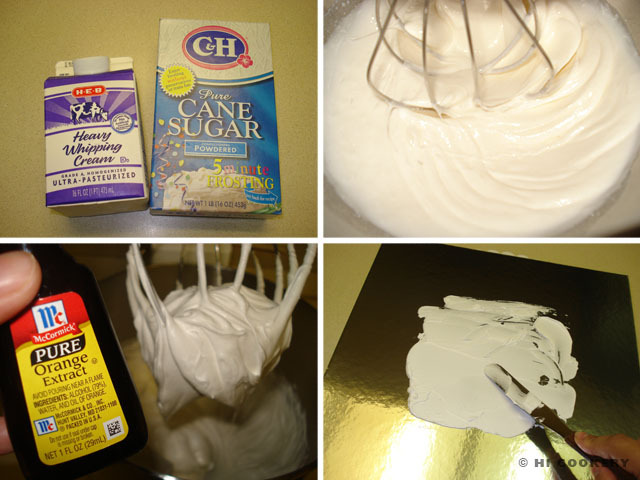 Generously spread the cream frosting on top of the cake and onto the sides until smooth and covered. 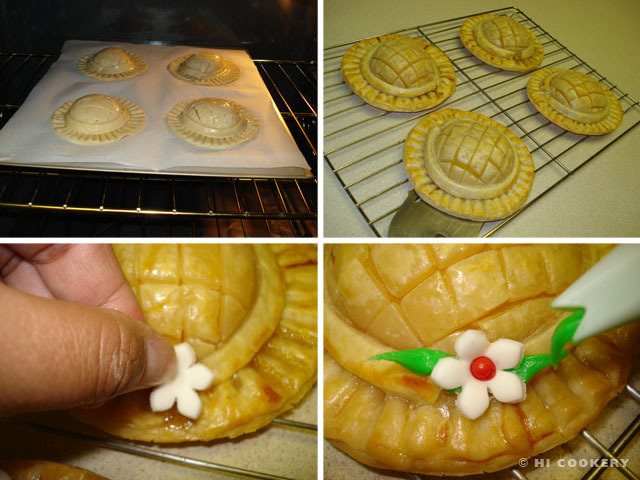 Use a pastry bag to pipe borders with extra cream (we used Wilton tip 2D). 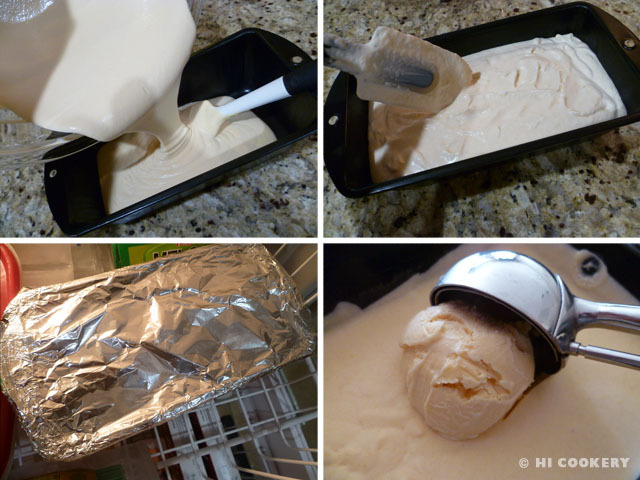 Refrigerate for at least half an hour for the frosting to set slightly. 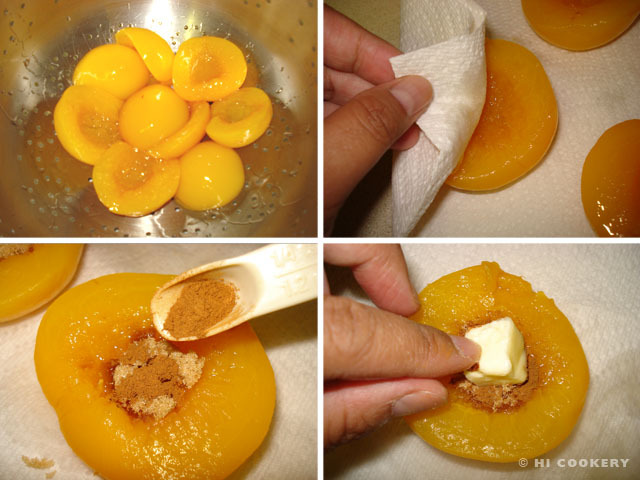 Drain the canned, sliced peaches and dry with paper towels. 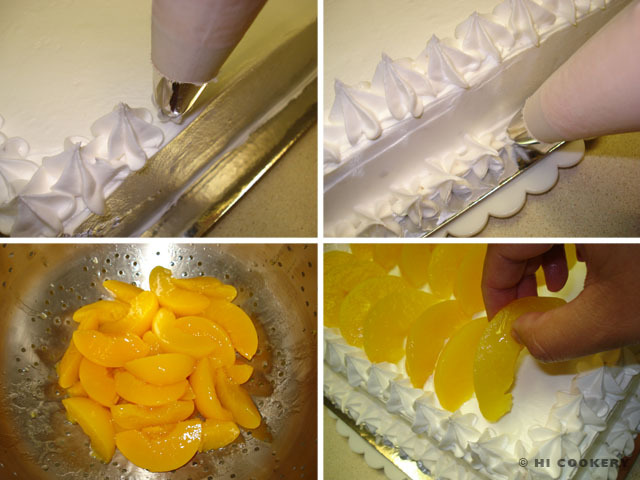 Arrange the peach slices on top of the cake. Chill to set. 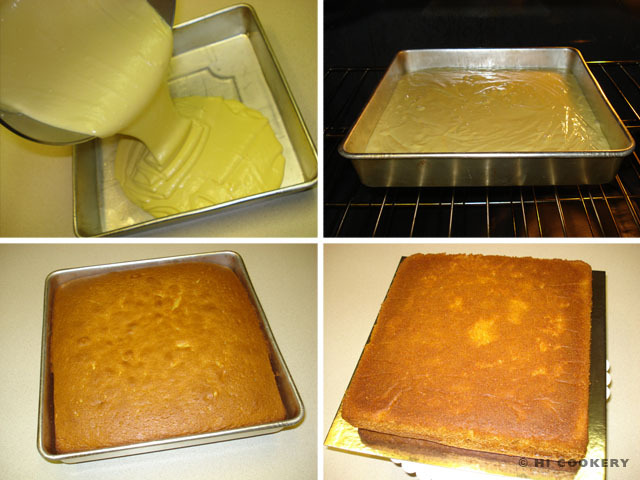 Remove the cake from the refrigerator 10-15 minutes before serving. Islander was Lisa’s maid of honor at her multicultural wedding celebration in Germany on 08/08/08. 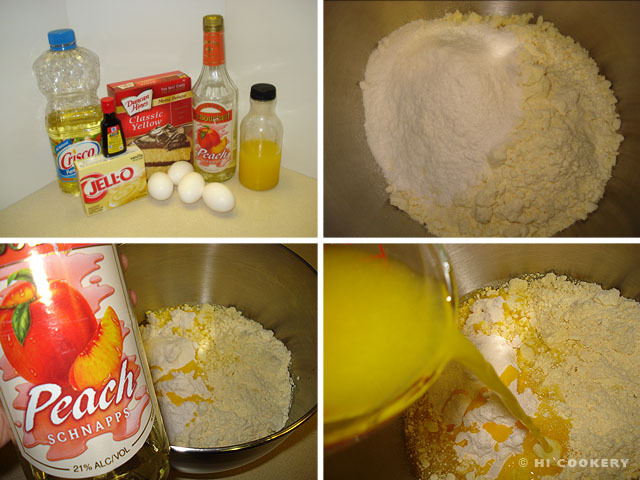 The peach schnapps and cream cake was a gift for her BFF and new husband John L. Prosit!